The U.S. military commander overseeing American troops in the Middle East told a Senate hearing on Tuesday that he was not consulted ahead of President Donald Trump’s surprise decision in December to pull U.S. troops out of Syria. “I was not consulted,” said U.S. General Joseph Votel, head of the U.S. military’s Central Command, while acknowledging Trump had publicly expressed a desire to leave Syria at some point. 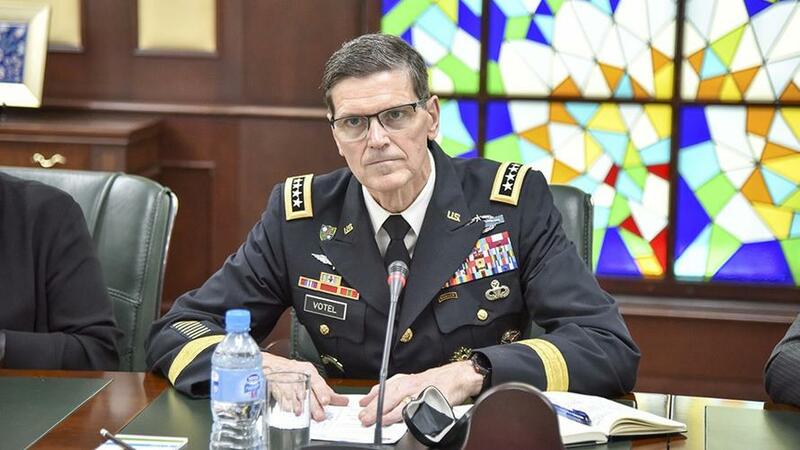 The disclosure came as Votel warned about an enduring threat from the Islamic State in Syria and Iraq that he says will persist following a U.S. withdrawal. However, Trump’s withdrawal decision has been under scrutiny since his announcement in December, with several politicians, including many Republicans, criticizing the move. Meanwhile, the United States has shored up its presence in Syria ahead of the planned draw down, transferring about 150 trucks and armoured vehicles and mobile generators to northeast Syria from neighboring Iraq, Turkey’s Anadolu Agency has reported, citing local sources. According to Anadolu’s sources, the vehicles made their way into Kurdish-controlled areas of northeast Syria on Monday night, crossing the Simelka checkpoint along the Syrian-Iraqi border, and arriving at a US Armed Forces logistics center in Syria’s Kharab Ishq and Sirrin on Tuesday. Amerika Birleşik Devletleri, bölücü terör örgütü PKK'ya Suriye'nin kuzeyinde yardım etmeye devam ediyor. Gönderilen son konvoyun videosu. The video shows generators and construction equipment, Humvees, and Toyota pickup trucks carried by transport trucks. President Donald Trump announced plans to withdraw the contingent of 2,000 US troops from Syria in December, citing the imminent defeat of ISIS and his campaign promise to bring the US home from “endless wars” in the Middle East. Earlier Tuesday, Turkish President Recep Tayyip Erdogan said that no satisfactory arrangement had been made with Washington on the creation of a safe zone in northern Syria, and warned that Turkish patience was running out. Last month, commenting on US-Turkish negotiations surrounding a proposed 30-kilometer’ buffer zone’ in Syria between Turkish and Kurdish forces, Russian Foreign Minister Sergei Lavrov said that any agreement involving Syrian territory must include an agreement from Damascus.